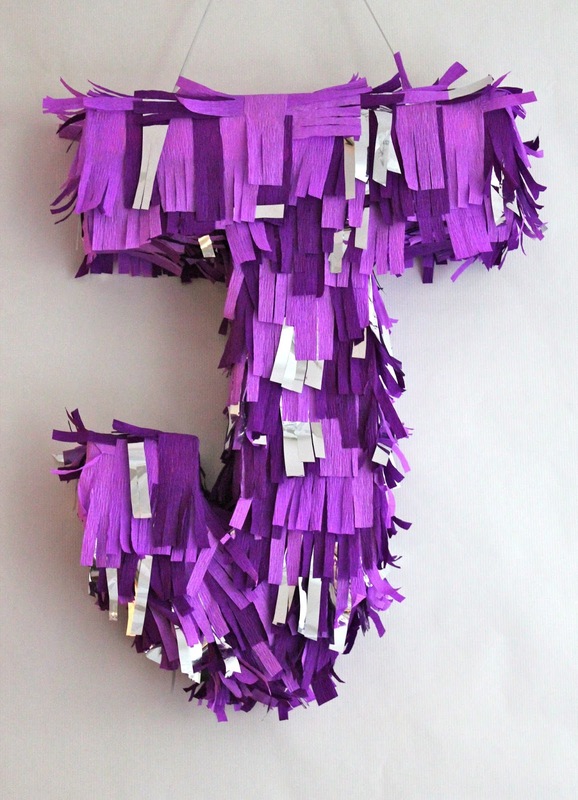 When I was little, I loved to make paper mâché balloon piñatas, so I'm not surprised at my inclination to these monogram ones! The fringe is so festive and can really be dressed up or down depending on material, color and size. 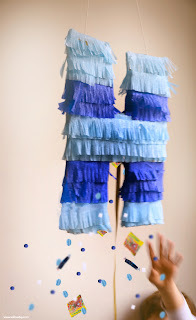 They don't look too tough to try out either (Here's a how to for the piñata above) so I would definitely DIY if you love this idea! 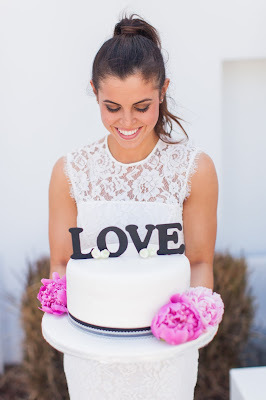 Customized to your event, these initials will be a show stopper-- whether you have candy fall out of them or not! 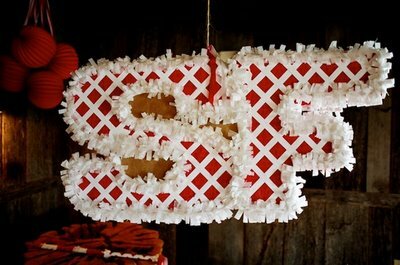 What would you stuff in your monogrammed piñata?